Sweet & cool in every sip. 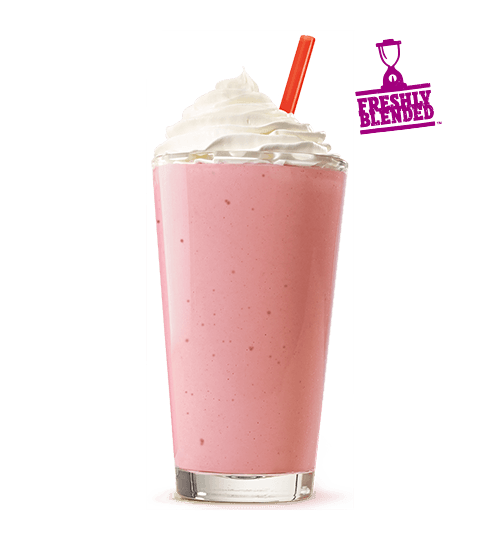 Cool down with our creamy Hand Spun Strawberry Shake. Velvety Vanilla Soft Serve and strawberry sauce are blended to perfection and finished with sweet whipped topping just for you. Allergens: Milk Download our Full Menu to view all nutrition information.